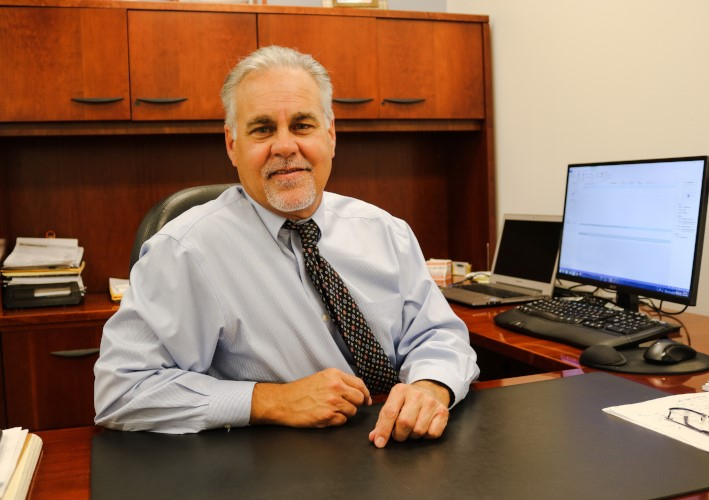 David Parkhill is the President of Sullivan-Parkhill and long-time partner of DSC. He oversees the day-to-day operations of their dealership and his family has been involved in the automobile industry in the Champaign-Urbana community for 95 years. The dealership’s history began with DSC’s Tree of Hope campaign over 20 years, back when it was known as Sullivan-Chevrolet. Kevin Sullivan served on the DSC board from 2005-2008 and began serving on the DSC Foundation board in 2009 and remains a board member today. The Tree of Hope Kick-Off has often been held in the Sullivan-Parkhill showroom, on a morning in early November. DSC employees, sponsors, family members and community supporters have gathered to meet the Tree of Hope Spokesfamily, and watch proudly as three individuals are recognized for the Employer of the Year, Personal Achievement, and Public Service awards. The signature trees that are on the corner of Prospect and Marketview Ave, are just around the corner from where David’s office sits, and serve as a reminder to him and his employees, as to what the mission of Tree of Hope is all about. Each bulb lit on the trees, signifies a $50 milestone reached in the Tree of Hope campaign.